to create wonderful & interactive navigation menus. 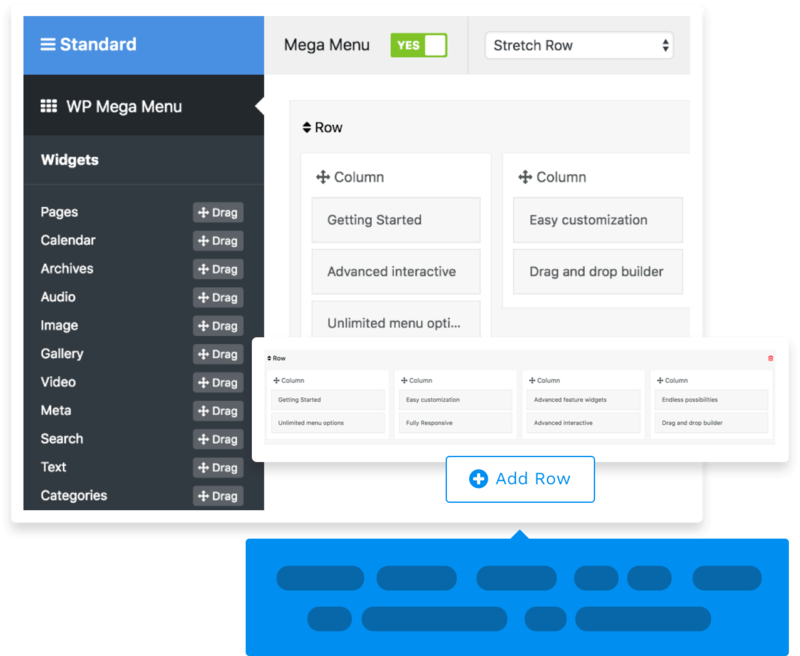 Creating a mega menu is fun with this robust WordPress plugin. Compose stylish menus with flexible drag and drop functionality. Build your own adaptive menu layouts and make your sites look better on any device. 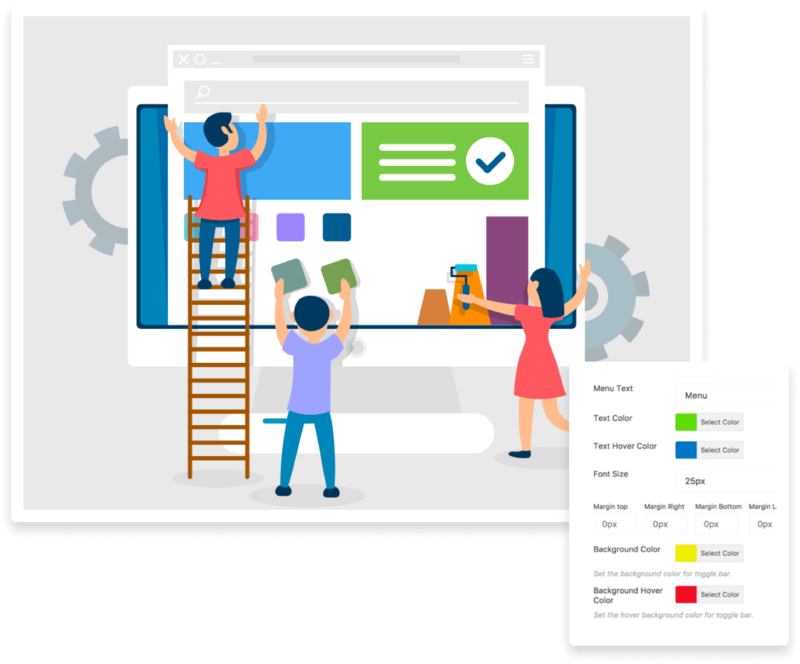 WP Mega Menu offers a cutting-edge visual menu builder. Craft everything visually with this powerful tool. Place your menu items in the rows and columns intuitively. Changes are saved automatically. There’s no limit to the number of the menu items you want to have. Your options to make them stylish and interactively functional are also unlimited. 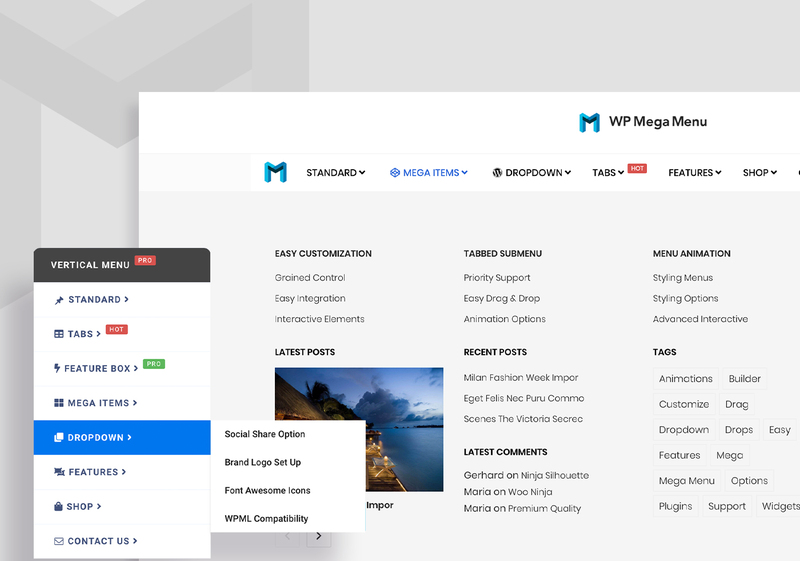 Any style you think of can be brought easily with WP Mega Menu. Besides using shortcodes in menus, you can also use prebuilt feature widgets as menu items. The feature widgets add more functionalities so you can set photos, titles and little details to them. Want to go beyond the conventional way? Place your brand logo at the center. With logo centering option, you can literally turn any menu item into a brand logo. Use text as a logo or upload a brand logo image to a menu item. Let your visitors have easy access to your social media channels by placing the links with respective icons. There is a built-in system inside WP Mega Menu to set up the social icons. 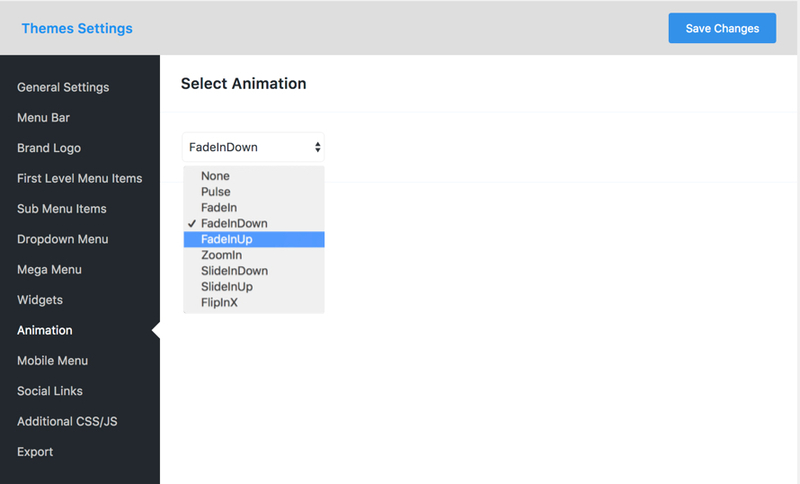 Alongside styling menus with different elements, you can also animate the menu items. Add menu animation for better user-engagement. You can easily create tabbed submenus and style them any way you want to present to your visitors. 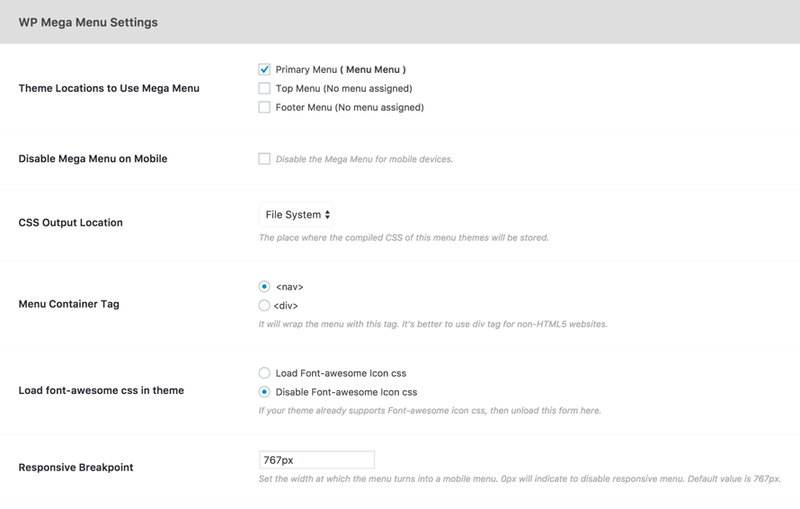 It's really fun to play with the WP Mega Menu functions. 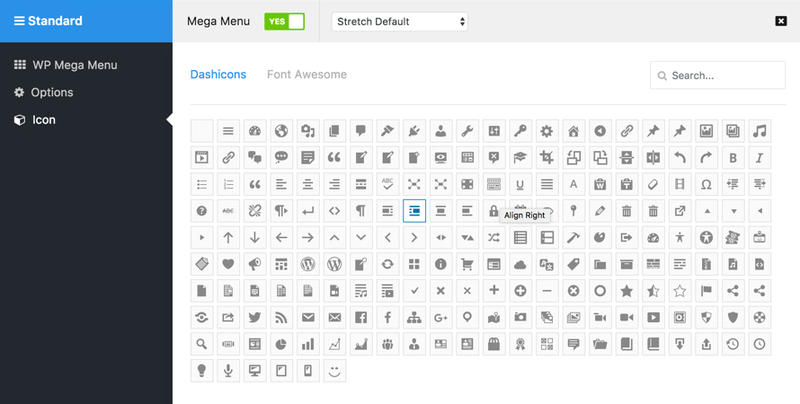 WP Mega Menu lets you explore icons in the vast directory of Font Awesome and Dashicons. Placing these icons with style is also easy. You can have a search option on the menu if you ever need. 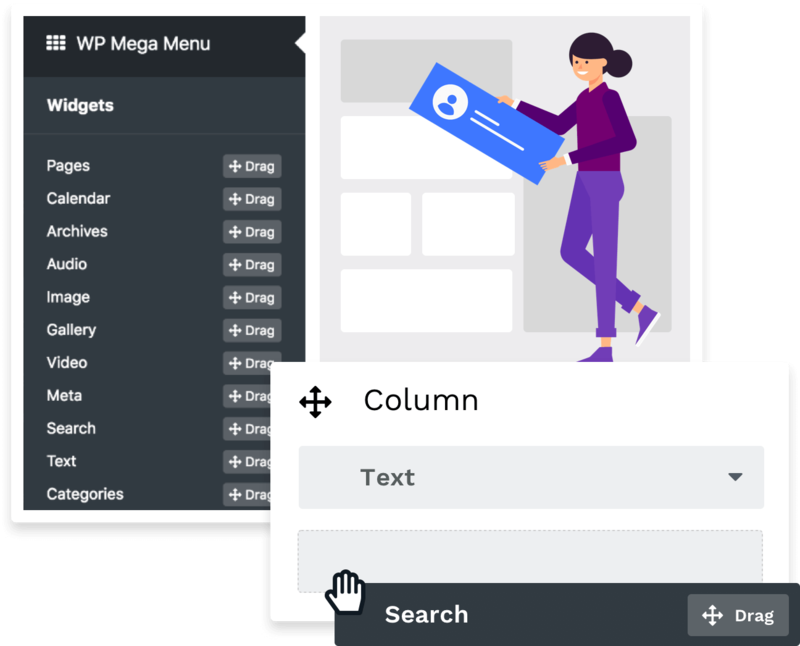 WP Mega Menu lets you include WordPress default search on any of your menu items. 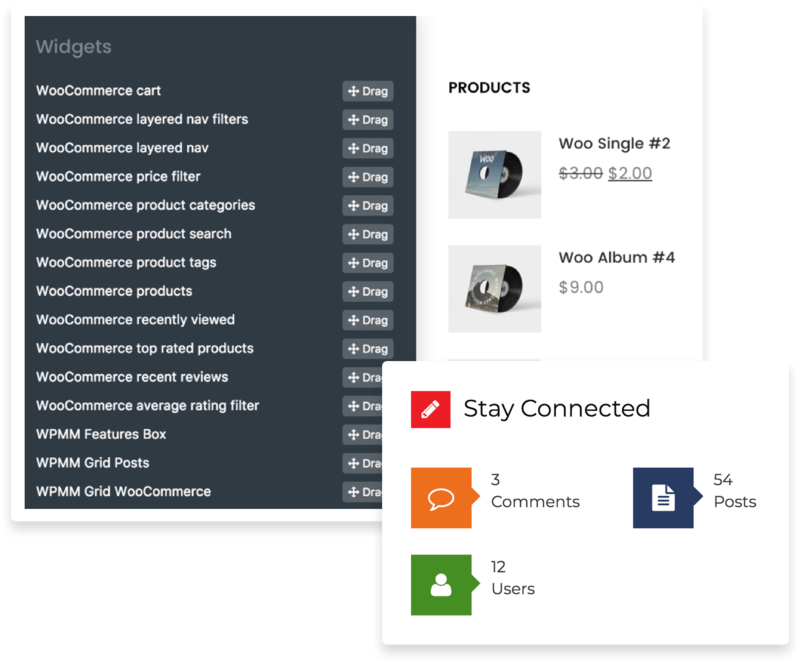 The plugin can be used with any WordPress theme. The installation process is just like any other WordPress plugin you use. Stay confident! Fixed: Cannot save dropdown menu option. Fixed: Cannot add multi-level dropdown menu icon. Fixed: Mobile menu animation issue. Fixed: Icon & Badge spacing & Alignment Issue. Added: Custom social icon support. Added: Two new predefined theme. Added: Text Transform ‘none’ & ‘inherit’ option. Fixed : Cannot save dropdown menu option. Fixed : Cannot add multi-level dropdown menu icon. Fixed : Some PHP warning. Fixed : Mobile menu animation issue. Fixed : Icon & Badge spacing & Alignment Issue. Added : Text Transform ‘none’ & ‘inherit’ option. Fixed : Disable the Mega Menu for mobile devices.